Integrating social sponsorships can be more than a logo. In fact, they should be. When you add social experiences to your sponsorship packages, you’re bringing brand partners all-new ways to engage with audiences and gain valuable exposure. You’re also creating more inventory and new revenue streams for your owned properties. 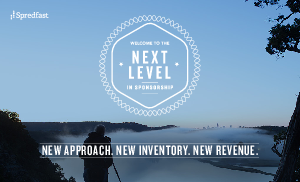 Welcome to the Next Level in Sponsorship outlines 3 basic steps for successfully integrating social into your packages. Up-to-the-minute examples from The NBA, Discovery.com, Toyota, JCPenney®, and other innovators in the sports and media worlds deliver fresh perspectives and creative inspiration. Pump up the value of your sponsorship packages with social. Download our quick-read whitepaper today.